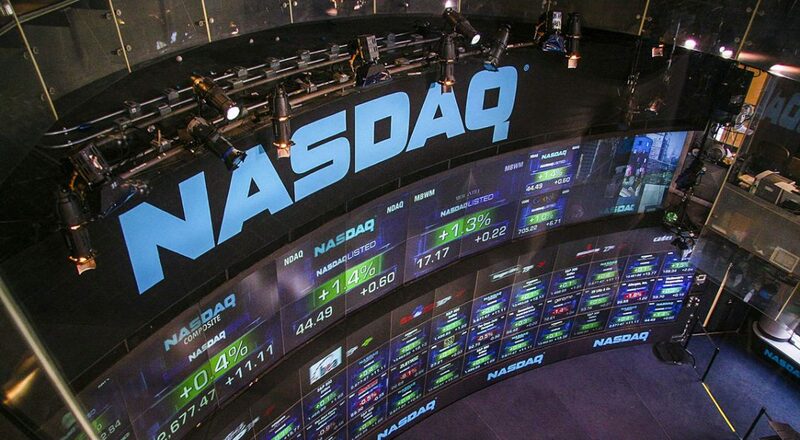 A sharp sell-off in tech pushed the Nasdaq Composite and S&P 500 lower on Wednesday. Investors also braced for another round of trade negotiations between the U.S. and Canada. The tech-heavy Nasdaq Composite dropped 1.2 percent — its worst day since Aug. 15 — to 7,995.17 as Facebook, Amazon, Netflix and Alphabet all dropped. Shares of Microsoft and Twitter also fell to drag the index lower. The S&P 500 declined 0.3 percent to 2,888.60 with tech pulling back 1.5 percent. Tech shares fell as Twitter CEO Jack Dorsey and Facebook COO Sheryl Sandberg testified in front of Congress, addressing online election meddling and how to stop abuse on social platforms. Netflix shares dropped 6.2 percent, while Amazon and Microsoft both fell more than 2 percent. Shares of Facebook and Twitter dropped 2.3 percent and 6.1 percent, respectively. The Dow Jones Industrial Average closed 22.51 points higher at 25,974.99, however, led by Caterpillar. U.S. and Canadian officials met Wednesday to try and settle differences and secure a future deal on trade. The meeting takes place after the U.S. and Canada failed to secure a new agreement last Friday to replace the current North American Free Trade Agreement (NAFTA) pact. Chrystia Freeland, Canada’s foreign minister, said Wednesday that officials worked hard over the weekend on NAFTA trade talks. Freeland added she looks forward to constructive conversations on trade between the two countries. Canadian Prime Minister Justin Trudeau indicated on Tuesday, however, that the country would not bow to certain requests at the talks with the U.S. this week. “President Donald Trump’s policies are boosting US economic growth despite his escalating trade war, which is depressing economies in the rest of the world,” said Ed Yardeni, president and chief investment strategist at Yardeni Research.